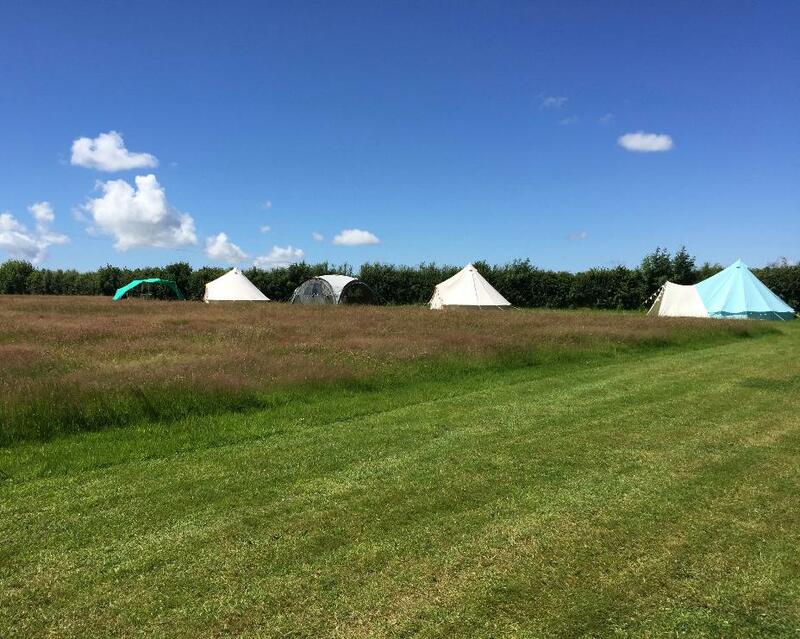 We have 3 fully furnished bell tents with everything you need for a relaxed glamping experience. They each come with their own mini marquee with a well equipped outdoor kitchen/dining area and a barbeque and fire pit. Whether it's a romantic, fun with friends or family stay you're after, the bell tents have everything you need: MiraBelle and AnnaBelle each have a double bed plus 2 singles. All are slatted bed bases with proper mattresses. (A 3rd single sleeping mattress can be added by phone/email request). ClariBelle is an larger 6 metre diameter bell tent with a king size bed and 2 singles - ideal for that chilled getaway. ( 3rd single can be added on request). Cooking equipment, utensils and crockery are all provided for your use. Sip a glass of something chilled or savour a hot chocolate beside your own fire pit and justmarvel at the starry Devon skies. BELL TENT PRICES START FROM £65 per night for 2 people, including electric. TO MAKE A BELL TENT BOOKING PLEASE USE THE CALENDARS ON A LAPTOP OR DESKTOP. Click on your start and end date on a green month (campsite open) and then click on Book Now. Use the drop down to change between the 3bell tents.